We believe that the purpose of worship is to glorify God, and that's exactly what we strive to do across all of our services and special events. Whether it's our Praise Team, Adult Choir, or Preschool & Children's Choirs, we desire to edify the church by leading the congregation in a time of praise to God. For our Contemporary Service at 11:00 am, our worship time is led by Pastor Matt Funk and our Praise Team. They lead us through a mixature of contemporay songs and hymns, all for the purpose of bringing glory to God in what we sing. For our Traditional Service at 8:30 am, our worship time is led by Pastor Tim Barnes and our Adult Choir. 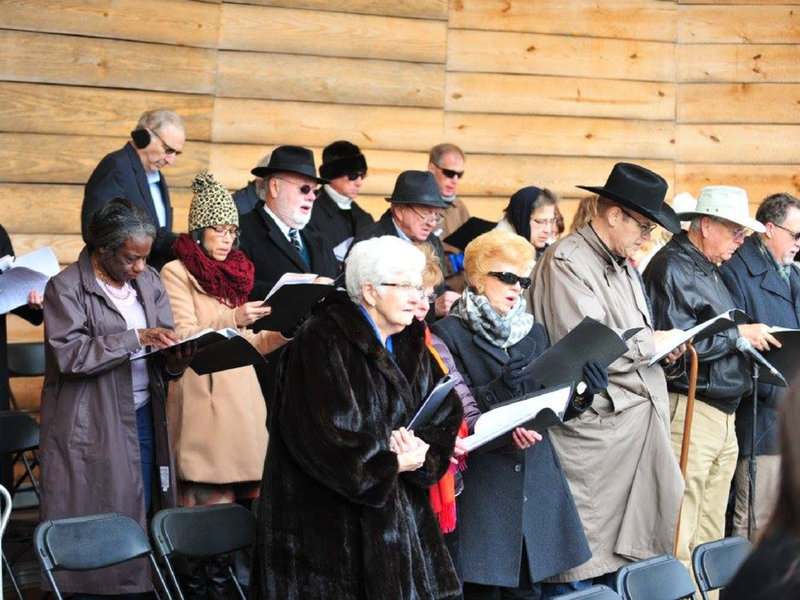 Our choir is made up of young adults and senior adults, and they have special productions throughout the year such as our Easter Musical and our Christmas Musical. Rehurals are every week on Wednesdays at 7:15 pm. On Sunday evenings from 6:00 - 7:00 pm, our children have the opportunity to learn about music and the importance of worshiping God. Throughout the year, they have opportunities to sing in our Sunday morning and Wednesday evening services, and they also practice and present Easter and Christmas musicals. And every year in July, we have our Summer Music Activities for Kids camp where they spend a whole week learning lines, choreography, and songs for the musical they present at the end of the week.